Contemporary laminate meeting tables with uniquely styled metal bases, designed by world renowned designer, Zooey Chu. 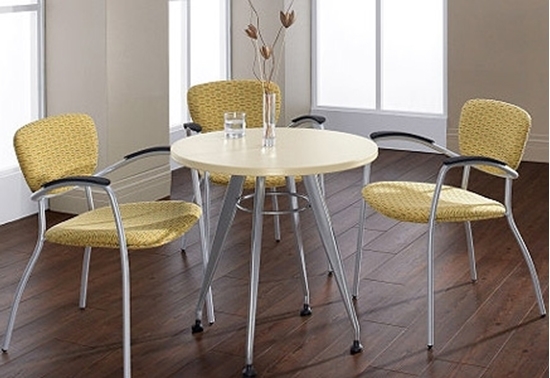 Perfect for a lunch room, small meeting area or conference room. Round tables are available in small cafe sizing and up to 48" diameter for meeting, dining or conferencing. Shown with four legged style Tungsten base. 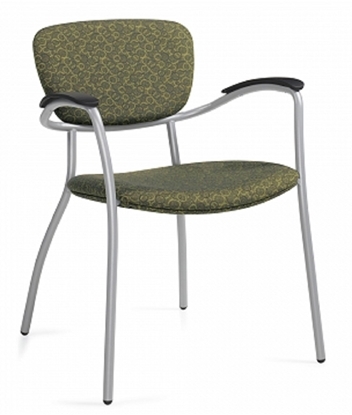 The Comet stacking chair with arms is modern, stylish and comfortable. Perfect for a business, medical office, school or church. 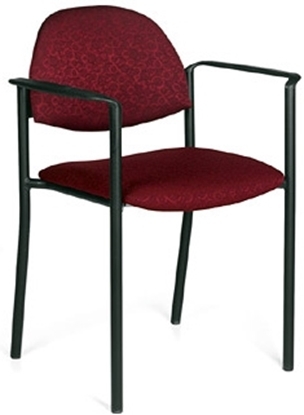 Use it in a multi-purpose room or for additional seating in a conference room. Stack or nest it for easy storage. Order today and get free shipping! A stylish guest office chair that provides a complementary and coordinating solution for meeting and multi-purpose rooms. The Caprice features a round tube frame and compound curved seat. Get free shipping when you order today!